Here are the best fighting sticks to get you started. Win, lose or draw, whatever… It’s just a game that you’re playing for fun. This is my motto when I am playing fighting games against other people. All I want is relax. If you want to play at a competitive level where each move of your fingers is important, you should not only perfect your skills but also consider investing in high-quality arcade stick or fight stick. Before I present you the another best fight sticks and arcade sticks you can buy right now, let’s explain basic terms. 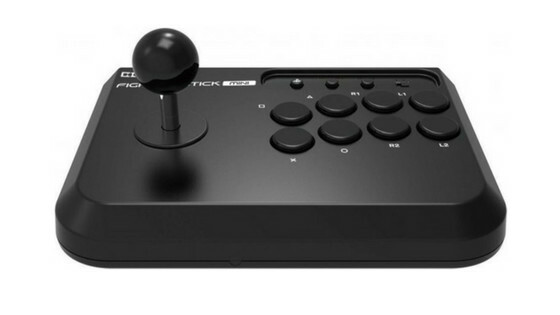 In short, the arcade stick is a joystick controller with buttons and some extra functionality. Specifically designed to replicate arcade-like controls for games like Street Fighter, Tekken, Injustice or Soulcaliber, just to name a few. Playing a fighting game with an arcade stick/fight stick and playing it with a gamepad are two different things, there is no question. Is arcade stick really better than a gamepad? Good question. I like to learn all kind of moves and combos by sound and execution. This is why I prefer the arcade stick while playing fighting games. If you do get a stick, buy something decent (not extremely cheap). I create a guide to help you find the best arcade sticks and fighting sticks of 2019. 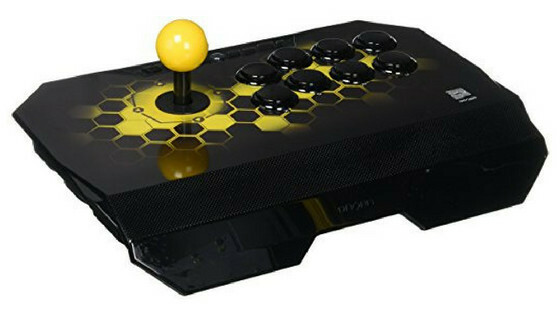 Can anyone beat HORI Fighting Stick for the price? This is a great entry level stick for gamers on the budget. 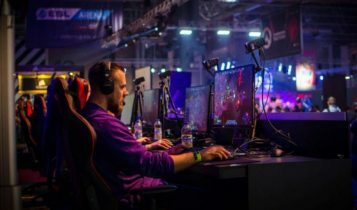 The build quality is adequate for the money you need to invest in these gaming accessories. The stick really is mini, however, it is in no way uncomfortable. The buttons are maybe small and close to each other, but this distance is not too much close to hitting wrong buttons. 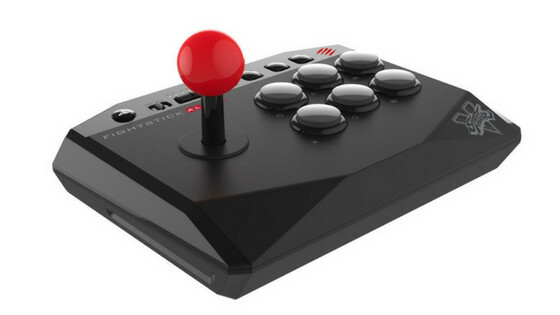 HORI Fighting Stick Mini 4 is in no way a PRO stick, but if you are looking for an arcade stick for emulation purposes, pick it up. It’s a great deal. Mayflash Universal Arcade Fighting Stick is a very basic arcade joystick great for beginners, with all the buttons and a circular handle and a square. This universal stick works with almost any platform (expect PS4 and Xbox One). It has a sturdy design and the buttons and the stick all feel nice. 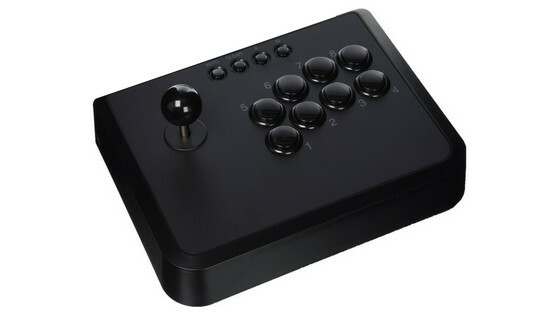 Many experience games will say that the stick and buttons are a bit stiff when you compare it to higher end arcade sticks, but this is a budget item and for the price, Mayflash Universal Arcade Fighting Stick can be beaten. 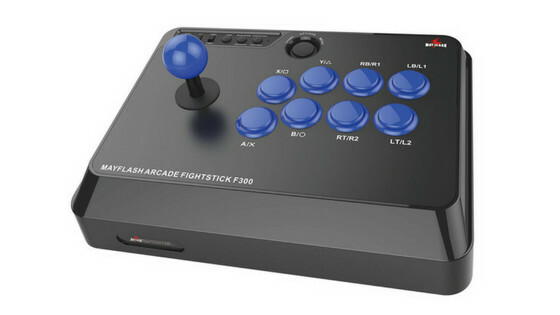 In short, this is a good stick for its price and you should not expect anything excellent as if you were buying a high-end stick, but you can use the Mayflash Universal for old arcade shooters, side scrolling games or fighters. The Mad Catz Alpha is another entry-level arcade stick with more average design, basic functions, and a pretty good build quality. The higher price is reflected in better build quality. 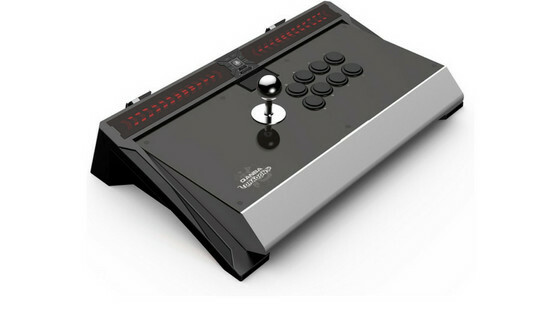 It comes with a square restrictor gate, well working responsive buttons with slight resistance and is made up of plastic with some rubber padding underneath that is preventing the arcade fightstick from sliding in the heat of a game. Mad Catz V Alpha is an arcade stick for beginners and with the lightweight and small size, it is a great accessory for gamers who travel a lot. The Mayflash F300 is aiming especially for beginner players who want to own a universal fight stick. It provides 8-button layout, with extra buttons on the top of the device for turbo and changing the input of the arcade fight stick. You can even upgrade the internals down the line with parts like Sanwa buttons and joysticks to get an authentic arcade style experience. Best cheap fight stick? 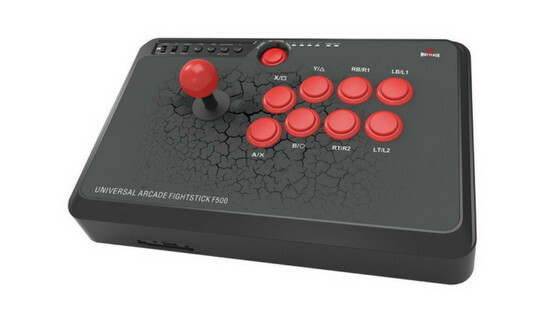 Honestly, Mayflash F300 is the best fight stick on this list which is ideal for casual players and a good plug and play arcade fight stick for the money. If you are a more experienced gamer, you should replace at least the joystick for Sanwa, but for beginners this model is great and the buttons, although just clunky, will do just fine for now. Another good option for those who don’t want to spend a lot of money for a decent fight stick. A very light and compact device you can easily fit into your bookbag without any space issue. Qanba Drone Joystick is somewhere between budget and high-end arcade stick, so you can expect a solid quality with very responsive buttons without any drops in inputs. The best part of Qanba Drone is its customization options. If you are planning to replace a few parts in it to make it more to your liking, Qanba Drone Joystick has good value for the money. It is still cheaper, in the long run, to customize cheaper fight stick to your happiness then buy one of the more expensive fight sticks. Made up of a solid piece of metal with rubber feet and a good amount of weight. All this make Mayflash F500 a durable and solid fight stick. As well as many other devices on this list, F500 is great when it comes to modding. Each of the 8 buttons can be replaced and the joystick is no exception either. Just unscrew 6 bolts at the bottom, and then you have access to everything inside. This basically larger version of Mayflash F300 is not a premium quality arcade stick by any means but it is not a cheap, budget device either. Mayflash F500 is compatible with all main gaming platforms and works well with most games. 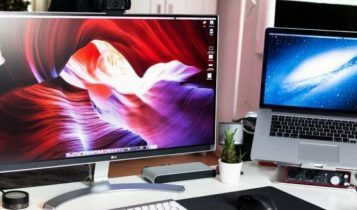 I think Mayflash products are great for what they are – high-quality copies of more expensive devices. You have an option, pay $300 for a stick with premium Sanwa parts that works only on one platform and give you the professional experience, or you can pay around $100 and get Mayflash that can be used on multiple systems with a bit worse gaming experience. And if you spend another $20 on extra parts, you get an ultimate arcade fight stick. What to say about HORI Real Arcade Pro 4. Probably the best-selling arcade sticks of all time and used by many professional gamers. Premium design, high-quality build, and customization made HORI well-known brand. The device works perfectly on any platform, there is a small switch on the side that will help to change between consoles and OC. The Hayabusa joystick itself moves very smoothly around and Hayabusa buttons are very responsive and feel, once pressed, pretty smooth. 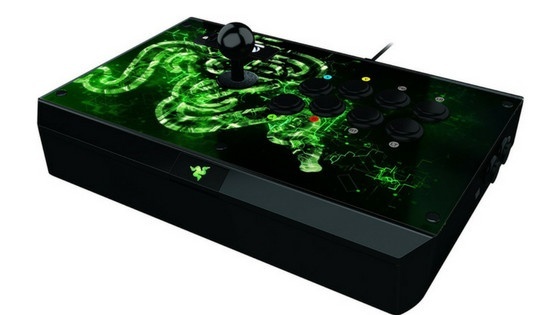 You get all the features of high-end fight stick at a reasonable price. For the money, HORI Real Arcade Pro 4 Kai is the best Sony-licensed arcade fight stick out there. Easy to customize, add another $20 and you have any buttons/joystick you could want. The Qanba brand has been associated with the finest joysticks loved by professional fighting game e-athletes worldwide for many years. This device is amazing. It weighs almost 12 pounds, feels solid and heavy. 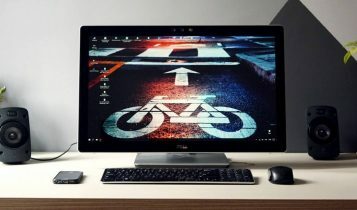 The body is made out of an aluminum alloy, got an elegant design and it also provides outstanding gaming experience and maximum possible comfort. Qanba Dragon Arcade Stick is equipped with premium Sanwa Denshi buttons, handle and square restrictor gate. Of course, all these parts can be easily modified. Qanba Dragon is an ideal for long gaming sessions thanks to its ergonomic design. 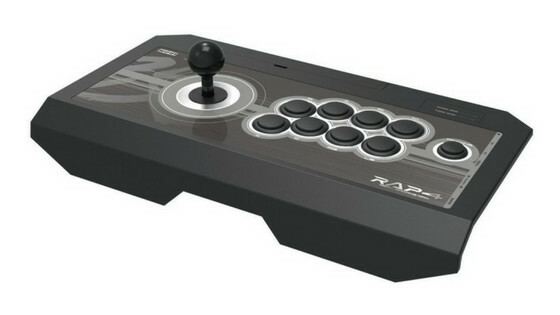 And for those who are open to spending $300 on a stick, this Qanba absolutely delivers where it matters, possibly more so than any other stick on this list. You are getting what you pay for with this arcade fight stick, and while there are other high-quality products, no one gets the job done with quite the class and prestige of the Dragon. If you’re serious about fighting games and you have the extra money to spend, the Qanba Dragon Arcade Stick is what you really want. It is perhaps the best fight stick for PS4 available. First look at Mad Catz fight stick TE2+ tells you one thing. That’s what quality looks like. 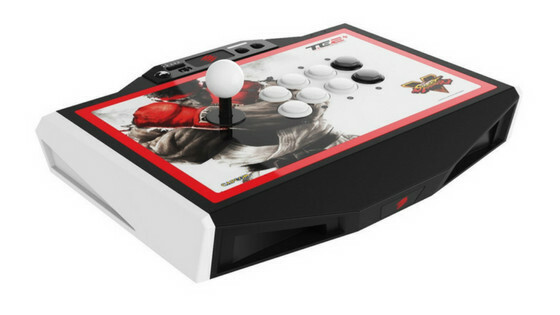 Madcatz TE2+ is a tournament edition made for professional e-gaming and the best fight stick for Street FIghter on the market. Made of metal, glass, and plastic, with rubber for a good grip while playing. Non-slip foam padding coincides with where the controller rests on your legs during lap-mounted gameplay. The handle itself is flexible, durable and accurate Sanwa JLF ball-top that is combined with a square restrictor gate. It features sensitive buttons with slight resistance, 8-button layout, and control buttons located on the top of the touchpad. Do you want to customize it? Just press a button and the case opens for you. The internal of this item also provides a dedicated storage compartment that gives you space for your tools and parts. Overall, Madcatz TE2+ is an amazing tool you need to crush your opponents. Durable, reliable, and designed for custom artwork, this high-end arcade stick is worth every penny for both passionate and competitive players. When it comes to fighting sticks aka arcade sticks, it is all about getting used to it. 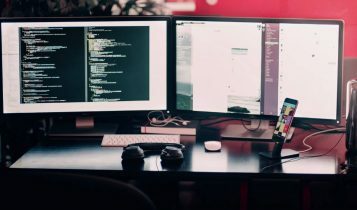 There are some questions you should have before you buy a fighting stick and at the end of this Top 10 Best Arcade Sticks (Fight Sticks) Of 2019, I have created a buying guide, where I want to show you which features are good to know before you invest into the arcade stick. Are you sure that you want to invest a fight stick? 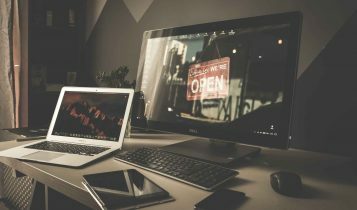 If yes, I´ve prepared a short buying guide for you, because there are many options to consider before choosing the best one. Is Arcade Stick Better Than A Gamepad? This is a good question. Is it because buttons are bigger and easier to push? Sticks are something that takes time to get used to. People can argue that an arcade stick makes your thumbs less tired and gives you more freedom with button combinations. You are able to use all five fingers to access the buttons instead only relying on thumb, index and middle finger. But this fact is becoming less true as manufacturers make more ergonomic pads. Now you can pick what fits you best. I personally think that it is also more satisfying to hit big colorful buttons with your fingers rather than press tiny ones with your thumb on a pad. The answer to this question is hard to find. It is just a matter of preference. Anything that can be done on an arcade stick can also be done on the pad. PLATFORM – Probably the most important thing you should know before purchasing a fight stick is to decide on which platforms it will be used. Some sticks are specially designed for Xbox, some are exclusive for Playstation. Fortunately, not all fighting sticks are made exclusive for one platform, you can always pick up a universal arcade stick such as Mayflash F300 or if you are a PC user, you are able to use Xbox or PlayStation sticks immediately after plugging in or with a help of software. PRICE – More money = more features, better quality. Cheap arcade sticks offer the basics and have basic functionality. I include few budget options on this list, but if you are looking for premium sticks, their price is usually between $140-$200. With a premium stick, you get higher build quality, as well as the better accessible interior for repair and modding. PARTS – Controllers are not same. There are many differences: button layouts, number of buttons (6 vs 8), joystick style (baseball bat vs lollipop), and joystick gate ( square vs circle vs diamond vs octagonal). Gamers often modding their fight sticks with new buttons, gates, and other parts. Do You Want To Make Your Own Fight Stick? I picked up a few videos that should help you with this easy task. Make your own PS4 fightstick the easy way! Arcade fight sticks are way more fun. I agree. Sticks came first, and most of the fighting games got started on sticks. 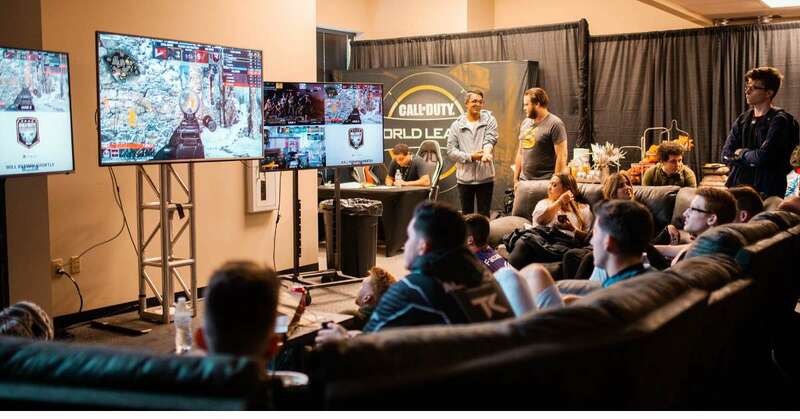 Can you play and beat people with a gamepad? Yes. Is a stick better? It is all preference. No, it is mostly preference. You can do just fine with whatever controller you prefer, regardless of game. 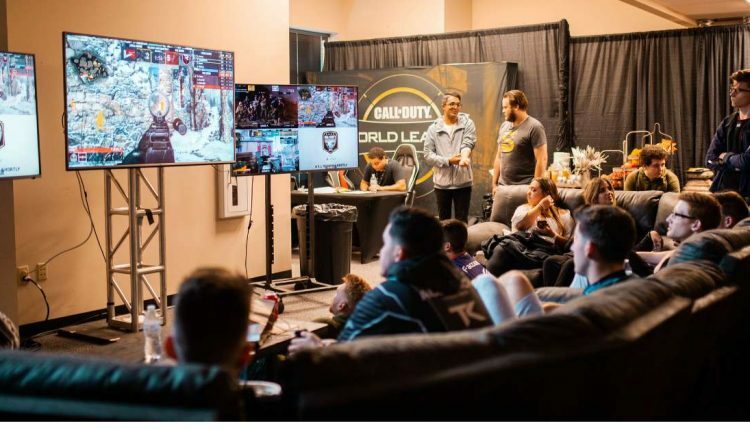 Although the esports are mostly under the control of shooters, MOBAs and battle royale games, there is still a large community of dedicated players of fighting games. Here is the top 5 of the best fighting game esports you should know about.